The Q7 that debuts in Detroit, shown, is lighter than the outgoing version. German brands will unveil key models to help boost their U.S. sales at this year's Detroit auto show. Audi will debut its updated Q7 large crossover. The new Q7 is lighter than the current model and will include the latest version of the brand’s infotainment and connectivity system. BMW will show two-door coupe and convertible versions of its 6 series and a four-door Gran Coupe with coupelike styling. Mercedes-Benz will debut the GLE Coupe, a derivative of the four-door M-class crossover, with four doors and a coupelike roofline. Volkswagen is expected to show an SUV concept that points at a new nameplate that the brand badly needs to boost sales in the U.S. Among other European brands, Alfa Romeo will use the show for a world debut of the production version of the 4C Spider. Below are some of the key debuts. The cars will be unveiled during the show's press days on January 12 and 13. Acura will debut the NSX sports car, originally shown as a concept at the Detroit auto show in 2012 as a successor to the original NSX. The high-performance car, with a midengine, twin-turbocharged hybrid powertrain, will reach showrooms this year. The car is likely a 2016 model. Alfa Romeo sales resumed in the United States in November after a nearly 20-year hiatus. The Italian brand, which has big plans for the U.S., will build on the 4C with the world debut of the production version of the 2016 4C Spider. A concept version of the two-seater was on the show floor at the Paris auto show but with no fanfare. The 2016 Audi Q7 will debut. The redesigned three-row crossover has shed more than 700 pounds (318kg) and will include the latest version of Audi’s infotainment and connectivity system. 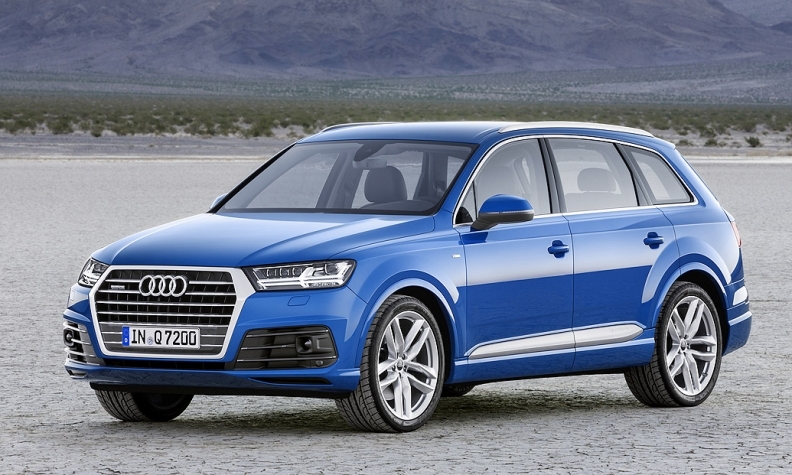 A 3.0-liter supercharged gasoline or turbocharged diesel V-6 are expected to be available on the Q7. In the future, the crossover is expected to get a plug-in hybrid powertrain. BMW will debut three 6-series variants that go on sale in the second quarter of 2015 as 2016 models. The two-door coupe, convertible and four-door Gran Coupe with coupelike styling are niche vehicles for BMW, but their designs have made them halos for the German brand. They are world debuts. The cars get a new grille with nine vertical bars, rather than 10, along with other cosmetic touches. Buick is widely expected to show the U.S. version of its Envision midsize crossover, which it has unveiled in China. It would occupy the sizable gap in Buick’s crossover lineup between the petite Encore and the large seven-passenger Enclave. GM’s near-luxury brand also will borrow another vehicle from corporate sibling Opel’s lineup with the unveiling of the Cascada convertible, likely a 2016 model. Cadillac continues to emphasize its performance offerings with the third generation of the CTS-V sedan. The 640-hp, track-ready 2016 car will have its global debut in Detroit, although GM released photos and technical details last month. The second-generation Chevrolet Volt plug-in hybrid makes its debut, boasting a redesigned drive unit and battery pack. Teaser photos show a wider grille and more-rounded rear decklid as part of evolutionary design changes. Chevy is expected to disclose whether the 2016 model’s electric range will exceed the current car’s estimated 38 miles. Rumors are circulating of a surprise unveiling from Chevrolet at the show, although insiders are tight-lipped. Ford is targeting the automotive enthusiast crowd this year. The company recently announced a global performance team that will comprise 12 vehicles by 2020, including the Focus RS. The RS isn’t expected in Detroit, but the brand may show off high-performance versions of other vehicles, such as an F-150 Raptor, Mustang GT350R and Ford GT. Honda’s next-generation fuel cell vehicle concept will make its North American debut, following its world debut in November in Japan. The sedan, slated to reach showrooms in Japan in March 2016 followed by a launch in the U.S., is expected to travel more than 300 miles on a single tank of hydrogen and seat five people — one more than Honda’s second-generation fuel cell vehicle, the FCX Clarity. Hyundai will unveil hybrid and plug-in hybrid versions of the Sonata midsize sedan, which are likely 2016 models, plus a surprise third car whose identity brand executives declined to disclose. 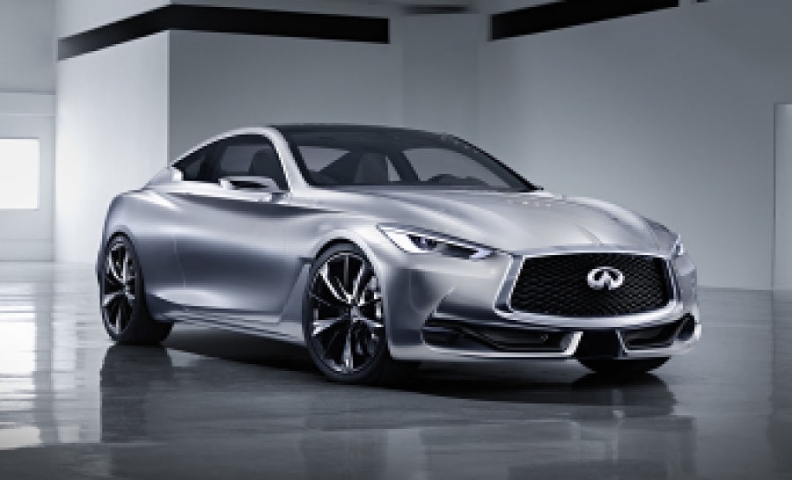 Infiniti will show the Q60 concept car that represents the next move in its brand makeover. The sports coupe concept points to the replacement for the Q60 coupe and convertible. The current Q60 uses the architecture of Infiniti’s older G-series car, the former G37 coupe. The Q60 concept aims to entice coupe fans with its sharp contours and hand-crafted interior, while also suggesting performance and power, Infiniti said in a statement. It takes design cues form the Q80 concept unveiled at the 2014 Paris auto show. An F performance version of the Lexus GS sedan will make its world debut. The GS F will be the third vehicle to receive Lexus’ high-performance makeover, after the LFA, the brand’s $375,000 exotic sports car that ended its two-year production run in 2012, and RC F coupe. The GS F’s 5.0-liter V-8 engine produces 467 horsepower. The car is intended to help solidify the F lineup as a niche performance brand. It’s part of an ongoing bid to help Lexus draw younger driving enthusiasts and pump excitement into a brand that has seen its traditional customer base age. Lincoln sales surged with the introduction of the MKC compact crossover last year, and now the brand is redoing its midsize sibling, the MKX. The MKX concept debuted in April in Beijing, a nod to how crucial China is to Lincoln’s growth plans. The production version to be shown in Detroit is designed to appeal to consumers in China and North America. The MKX is expected to go on sale as a 2016 model. 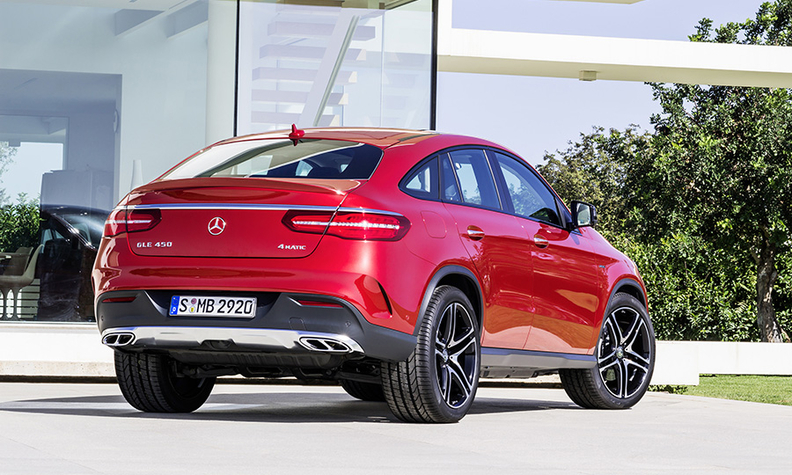 The 2016 GLE Coupe, a derivative of the four-door M-class crossover, has four doors and a coupelike roofline. It debuts at the show and goes on sale in August. The GLE Coupe will compete primarily with BMW’s X6, now in its second generation. The GLE Coupe will be produced at the Mercedes-Benz factory near Tuscaloosa, Alabama. It is the first vehicle with Mercedes’s new nomenclature. All crossovers will be called GL, and the E links its size to the E-class sedan. Mercedes also is using the Detroit auto show to introduce the AMG Sport line, which offers fewer performance features at lower prices than AMG vehicles. The GLE 450 AMG Sport and the C450 AMG Sport will be at the show. Mercedes will also show the 2016 C350 plug-in hybrid, a world debut. The John Cooper Works Hardtop sporty car will debut with a 2.0-liter four-cylinder engine with 228 hp. The 2015 model accelerates from 0 to 60 mph in 5.9 seconds. Nissan will unveil the long-awaited new-generation 2016 Titan pickup at the show, in advance of its market debut late this year. The full-size pickup is perceived as a key piece of future business for Nissan in the United States, where the Titan’s sales have slipped. This year, Titan sales are expected to come in below 15,000. But Nissan will step up Titan marketing with the new version, which will offer a Cummins V-8 diesel engine and more body configurations. Porsche will debut two variants of existing models, sources say. Porsche declined to provide details. Ram brand boss Bob Hegbloom told Automotive News in October that the brand would show a freshened 2016 Ram 1500 at the show. The freshening was described as a “minor update” at the brand’s five-year product plan outlined in May. Tesla will show the Model S with all-wheel drive, which has been introduced to the press. Reports are circulating that Tesla also could show a new nameplate, the Model X crossover, but Tesla declines to reveal its plans. Toyota will have the world debut of its redesigned 2016 Tacoma midsize pickup. It will compete with two midsize pickups from General Motors, the Chevrolet Colorado and GMC Canyon, which were redesigned in 2014. Volkswagen is expected to show an SUV concept that points at a new nameplate that the brand badly needs to boost sales in the U.S. VW confirmed last month that an SUV concept is set for Detroit, but released no further details. Reuters reported that the vehicle would be a five-passenger variant of the seven-passenger SUV to be built at VW’s U.S. plant in Chattanooga starting in late 2016. Ryan Beene, Nick Bunkley, Lindsay Chappell, Mike Colias, Diana T. Kurylko, Gabe Nelson, Jaclyn Trop, Larry P. Vellequette and Amy Wilson contributed to this report.